What is in-house and online mastering? An in-house and online mastering studio provides mastering from the studio and you don't have to be there, meaning we master the music remotely. We are regularly told by our online mastering clients that tracks we treated sound amazing and have been chosen for various radio radio A-listings. This is exactly what we are here for and strive to do for everyone! Many others reach charts including Reverbnation, Soundcloud, iTunes, Spotify and countless others. Feel free to attend our mastering studio session or leave it to us to apply our online mastering magic. We can then email the completed radio ready link to your completed mastered track. Our London in-house and online mastering studio boast a wealth of world-class analog and digital mastering tools that improve all audio mixes to step up the listeners' quality and gain sales of any music style. 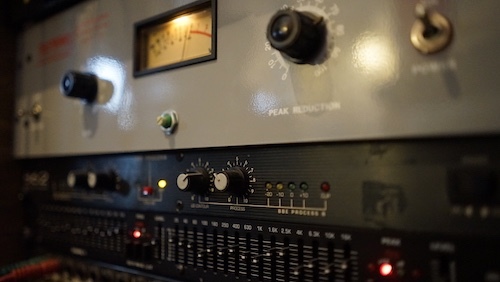 Mastering is a treatment that finalises audio mixes, EQ and dynamic/volume changes. This is done so that the mix sounds comparitable on all speaker systems, similar to released tracks. We use released music as references that ensure that we match the sound tonal quality. With our dedication to making music as great as it can be, our in-house and online mastering studio methods are suitable for all music style and genre. If you want to master audio to a professional level, contact the recording studio. 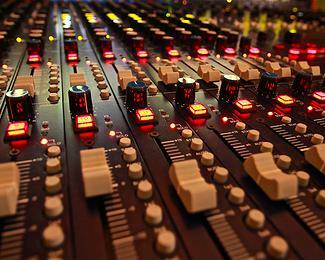 Feel free to call for a chat about what you need mastered on either +447949-121-811 or +44(0)207-352-5366. If you would like more information on how the studio can help you move your music forwards, get in touch.